« Are you a 2 faced specialist? 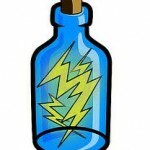 Are you catching lightening in a bottle? Where else can you go and interact with your leadership, experts and other colleagues at any time of the day, ask just about anything and get their view, spin and perspective on that topic. Most of us carry on very busy professional lives with our business. We travel for work and if you’ve ever been on the road then you know that time is a commodity. The true leaders in this industry maintain some level of contact and stay in touch, even if for a couple minutes of the day. The web and social media is almost like a nanny cam in many ways because we can check in and make sure things are in order. Even if I am not an administrator on th NABA site I have a few specialists that I oversee in their career that I make sure they are still traveling the narrow road of professionalism. I also like to engage in the hot topics so that everyone can get a full perspective of what and how we feel and do certain things. At the end of the day if you sum up all of the posts and comments made by the industry leadership you can easily say that you get a daily webinar or seminar. The question is this: “Are you taking advantage of what you are fed every day.” It can be equaled to your daily bread to feed and nourish your careers. The old adage, “Don’t play with strangers also applies here.” The heart and soul of the craft never attacks anyone publicly but we have a very keen way of attacking the topic. The smart readers can piece together the facts from inferences and who is posting from experience and who is just posting just to be read. Anytime you read a post and the thread is populated by leaders like Frank Gallagher, Raffaele DiGiorgio, Elijah Shaw, Mark James and me you need to capture that moment. 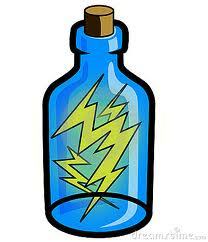 If you do then you’ve captured Lightening in a bottle.